It’s annoying and often very painful to stumble over tent pegs at night. But there is a solution to this problem – luminous tent pegs by Outdoorer. These innovative pegs shine at night to light your way safely. But not only that, these pegs anchor your tent perfectly on diverse soils, are very robust, and very lightweight. 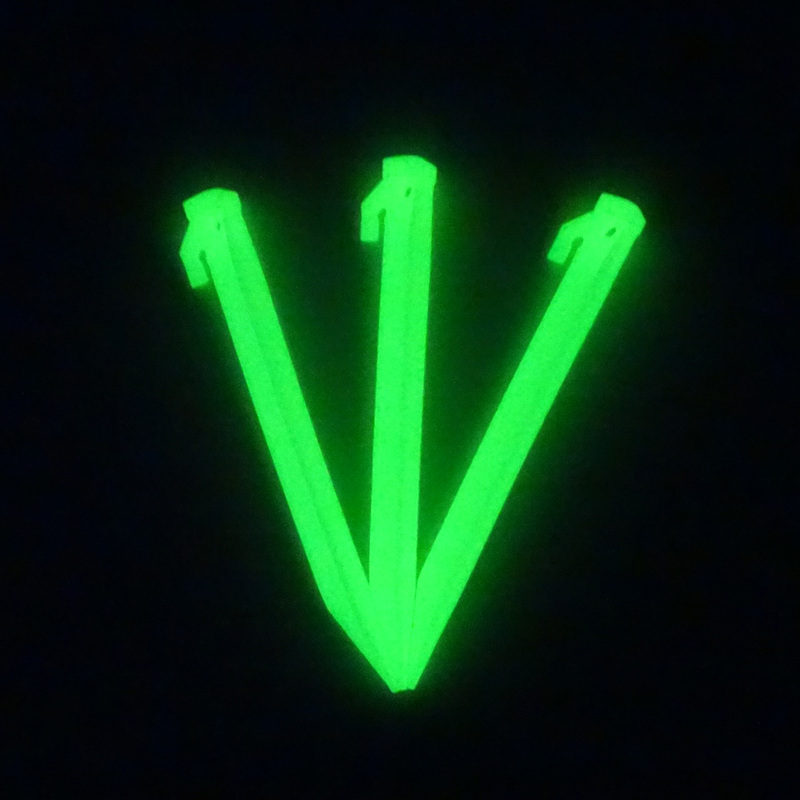 The glow in the dark – a universal peg, which really makes a difference! You can order the Glow In The Dark tent pegs at Amazon. These innovative luminous tent pegs by Outdoorer don’t just look fun at night time, they are also useful! Because the luminous pegs charge themselves during the day by sunlight, or even by artificial light, and at night give off light – due to the phosphorescent plastic. So you won’t stumble over your tent in the pitch dark. These 22 cm long luminous tent pegs by Outdoorer are robust, have a long life and are also very lightweight. Each one of these luminous pegs weighs only 24 grams. These great product properties are due to the polypropylene, the material from which the Glow In The Dark pegs are made. The robust material means that the luminous pegs remain dimensionally stable even in hard soils, the luminous pegs are also produced in a T-shape to enhance their stability. The Glow In The Dark luminous peg is highly suitable for many soils. The wide T-shaped profile of the Glow In The Dark ensures that this luminous tent peg is perfect for sandy soils and also for firmer soils, such as forest and meadow soils. 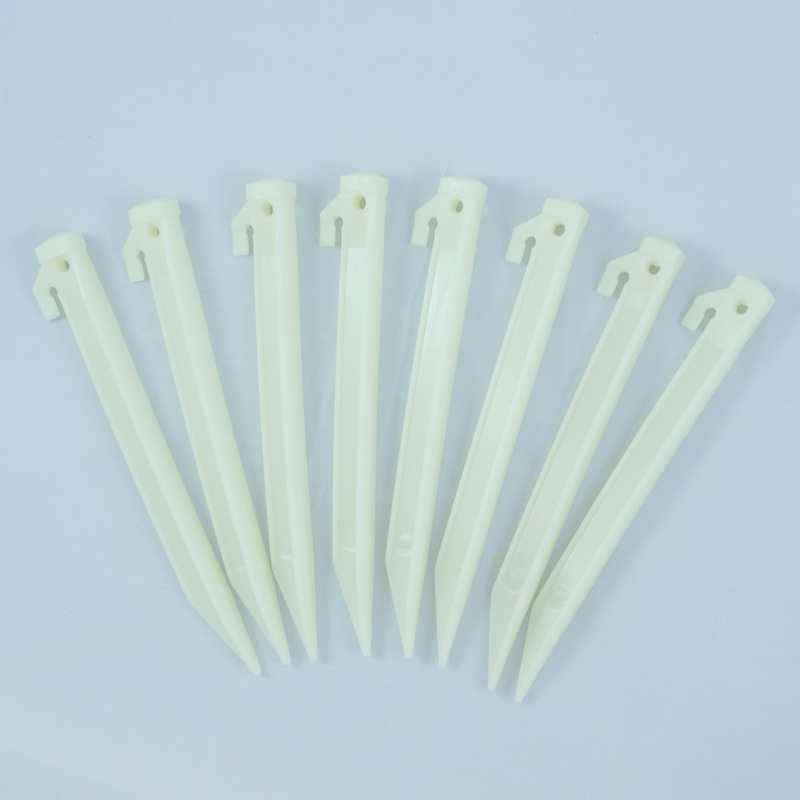 The peg has no sharp edges and can be easily pushed into the ground. 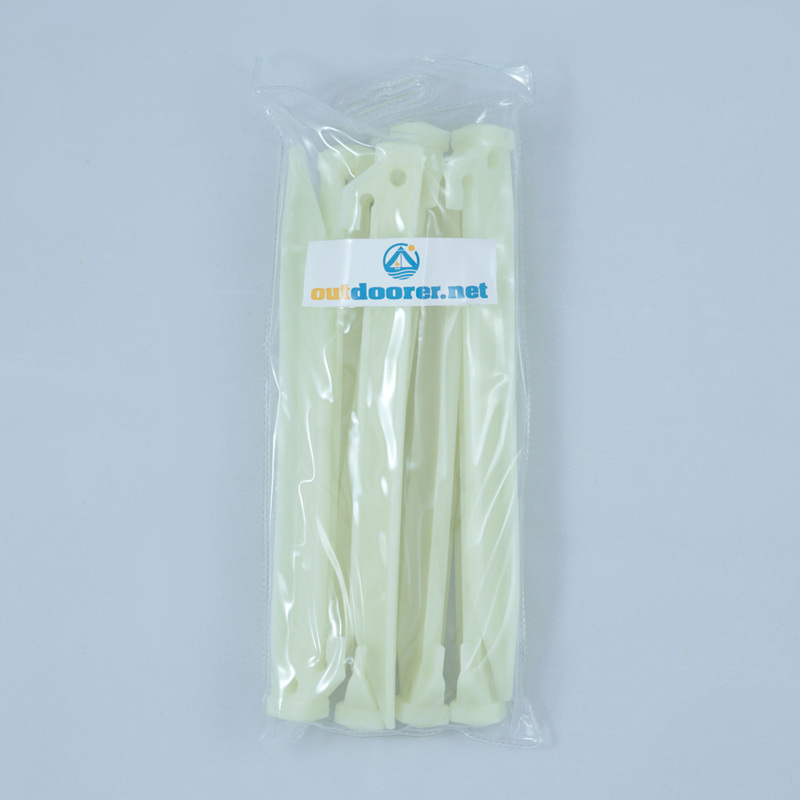 The package size for the luminous pegs by Outdoorer makes sense because a pack consists of 8 individual Glow In The Dark pegs, this number allows a tent to be firmly fixed. So that the pegs can be neatly packed and stowed away until they are needed for the next camping trip or festival, a free carrying bag with clip closure is also included in the delivery. Where are the Glow In The Dark luminous pegs available to buy? 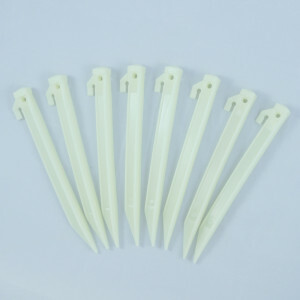 The Glow In The Dark plastic pegs can be ordered at Amazon.